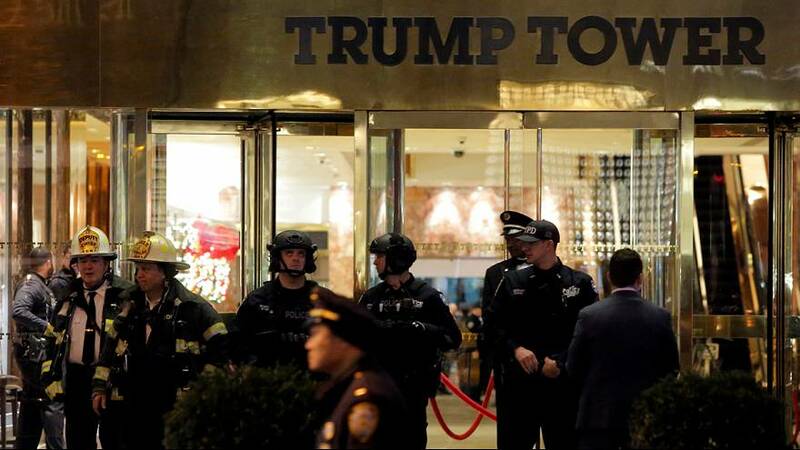 There were scenes of panic in Trump Tower on Tuesday as workers and tourists alike fled from the Manhattan skyscraper amid a security alert. New York City Police Department briefly evacuated the lobby after a suspicious package was found. But authorities issued an all-clear message shortly afterwards. Trump is spending the Christmas holidays at his Mar-a-Lago resort in Florida and was not at the 58-storey building at the time.